I'm a volunteer with Lawston Found BMorg and have some tips to share in hopes it will help reunite you with your lost gadget and also expedite the process. -Include a pic of yourself. If the description of your lost item is something along the lines of "there's a picture of my gf/wife and I on the wallpaper" or "there are pictures of me with the man in the background" and "there is a picture of me, my husband, and my kids playing baseball in our backyard", please include a picture of yourself. This is especially helpful with cameras. -check your "lost phone locator" apps. As we are starting to power them up, hopefully it will ping and you can see your phone was last located at BMHQ. Maybe you can send a message to it with your info. -check your "other" inbox on facebook. Sometimes the only lead we get is through facebook and if we are not connected by 3 degrees of seperation (or something stupid) then facebook sends the messages to your "other" inbox. L&F doesnt have a fb account so volunteers use their personal accounts. -check your direct messages on instagram. L&F doesnt have a ig account so volunteers use their personal accounts. -check your spam folders in your email. -include a shipping address in your email. If you sent an email that went something like this " I lost my black (phone carrier), (phone brand model). The passcode is XXXXXX. The wallpaper is a picture of me and my donkey playing poker in a swimming pool filled with dumplings. (Insert picture of you.) If found please send to (address)." then we will send your phone out right away instead of bouncing emails back and fourth. Same goes for cameras. The easier it is to ID the item to their owners, the faster you'll get your stuff back, the easier it is on us, and the faster we can get through all the lost items. There is ALOT of stuff to go through and we're doing the best we can to reconnect you with your items. Thanks Salty---great advice and great ideas. It would be nice if we could get this message out to everyone who attends BM. A few other tips for not losing your camera or phone are to get a SUBSTANTIAL camera case with a beefy strap to hold it onto a belt. Little dinky straps or little carry handles break easily with just a small amount of stress on them. Add some address stickers to your camera and phone. A few on each would be really helpful to the good people tying to reunite you with your property. I tend to cut the sticker down really tight and stick them firmly on a few sides of my camera and one on the battery too. The same for your cell phone. Stick those address labels in creative spots--such as on the back of the phone and also on the inside of the hard case. Get in the habit of returning the camera and phone back into the case when done and don't set them down anywhere. People tend to put the devices on a bar and forget to take them. Always put them back on you when not using them. Take a photo of yourself holding up a paper with your address on it. Get creative and make things easy to reunite you and your stuff. 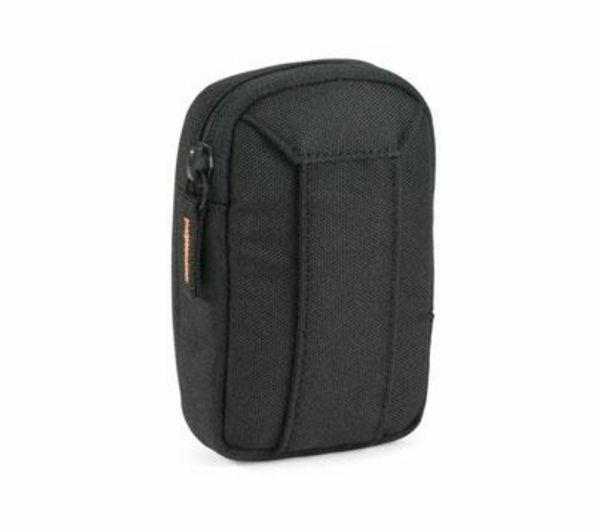 Here is an example of a good case with a substantial loop to secure it to a belt or backpack strap. How many cameras are left to sort through? I've been checking the Flickr page regularly and was wondering if all of the cameras found have had their photos uploaded yet or not - trying not to give up hope! I'm not working in the camera department but the last time I glanced over, there were approximately 60 unprocessed cameras. I take that back, there are about 100 cameras. Hi, all. I have posted photos from all the remaining cameras <https://www.flickr.com/photos/burning_m ... ound/sets/>. There are still about 50 from the 2014 burn. You will also see photos from the 2013 burn. The cameras from 2013 , along with all other found items were donated last February, and closed out - except - we pulled the data cards from the cameras, and they are still available. We did this because many people have said they care more about the photos than the camera. We have a record still of the camera that each card came from to aid in identification. So there may well be nearly 100 albums on the flickr site. As we ship out a claimed camera, we also remove the photos from flickr, so you can follow our progress that way. It's apparent that matches are also being made on this forum, so keep up the good work. "My first burn was the best one, and they've gotten better ever since."